Brazilian courts have sentenced a man to almost 30 years in prison for the 2013 murders of two journalists in Minas Gerais, but press advocates urge authorities to look for the masterminds behind the crimes. On August 19, Alessandro Neves Augusto was given 14 years and three months in prison for the April 14, 2013 murder of Walgney Assis de Carvalho. 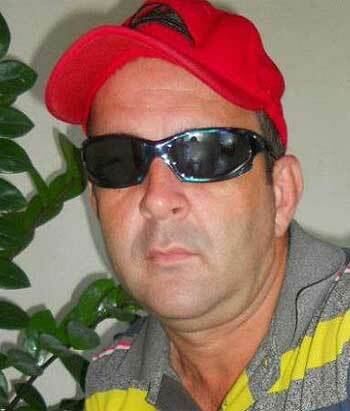 Just two months ago, Augusto received 12 years in prison for the murder of Carvalho’s colleague Rodrigo Neto. Prosecutors said Carvalho was killed because Augusto, who had falsely passed as a police officer and had access to police stations in the region, feared he would reveal who had killed Neto, according to G1. They said Carvalho had told several people he knew who was behind the crime. Two men on a motorcycle shot Neto, radio host for Rádio Vanguarda and reporter for Vale do Aço, in Ipatinga, Minas Gerais on March 8, 2013. Carvalho, a photojournalist who also worked for Vale do Aço, was fatally shot a month later in Coronel Fabriciano, Minas Gerais. Augusto’s conviction is one of seven in murders of journalists in Brazil in the past two years, according to the Committee to Protect Journalists (CPJ). Overall, Brazil ranks eleventh on the CPJ 2014 Global Impunity Index. “While this is an encouraging sign, in this case the chain of accountability has ended with the gunman. We urge Brazilian authorities to identify and prosecute the mastermind and put an end to the cycle of deadly violence against the local press,” said Carlos Lauría, CPJ senior program coordinator for the Americas. Since 2011, at least 16 journalists have been killed in Brazil because of their work, according to CPJ.